Rockford Sexual Assault Counseling (RSAC) therapists aim to provide a safe, non-judgemental and empowering space for survivors to work through the effects of their trauma. RSAC understands the impact sexual assault can have on a person's life, including those around them. Sexual assault can have a huge impact on the way a person expresses themselves personally and within relationships. Survivors may feel guilt, shame, fear, anxiety, depression and vulnerability after their trauma. It may take years after the trauma event to recognize these feelings. Counseling helps the survivor recognize these feelings, create coping skills, and help adjust to life after sexual assault. RSAC offers a wide range of counseling services including individual and group therapy. Sexual assault survivor groups are facilitated based off of need. Members must be assessed by an RSAC therapist and attend individual therapy sessions twice a month in order to be considered for group. If you are interested in group, please contact us to start individual therapy sessions or talk to your RSAC therapist for more information. and non-offending family members ages 3 & up. to learn more about how to help keep these services free of charge. RSAC does not discriminate due to race, age, religion, sexual orientation, gender or ability. 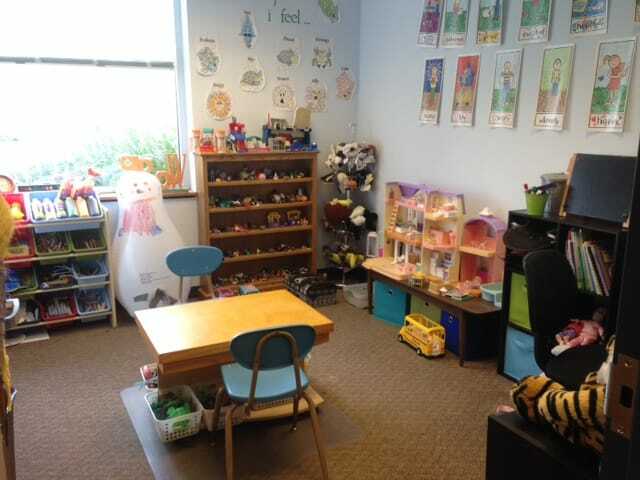 RSAC offers child centered play therapy and utilizes play therapy aspects such as sandtray, doll house, art supplies, playdough, and much more. Therapists are trained in sexual abuse play therapy and are required to seek out continued education. For more information about play therapy, visit The Association for Play Therapy page "Why Play Therapy?"